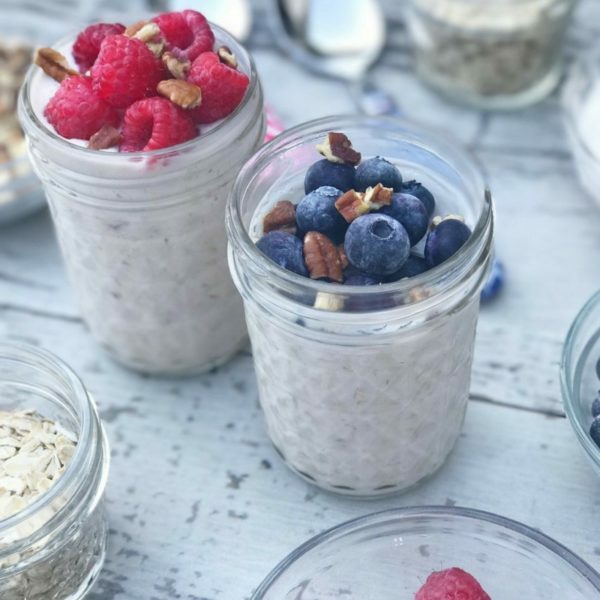 If you are a Pinterest fan or a cooking magazine connoisseur, you have probably noticed the abundance of overnight oats recipes exploding on the food scene. I love the idea of throwing a few of my favorite ingredients into a jar, giving it a shake, and tossing it into the refrigerator overnight for the perfect full meal ready-to-eat breakfast in the morning. My favorite part of this trend is the customizing you can do to create a simple breakfast in a glass that speaks to you and your family’s taste. I even love tossing in a few tablespoons of my Breakfast and Snack Granola for a little extra goodness. 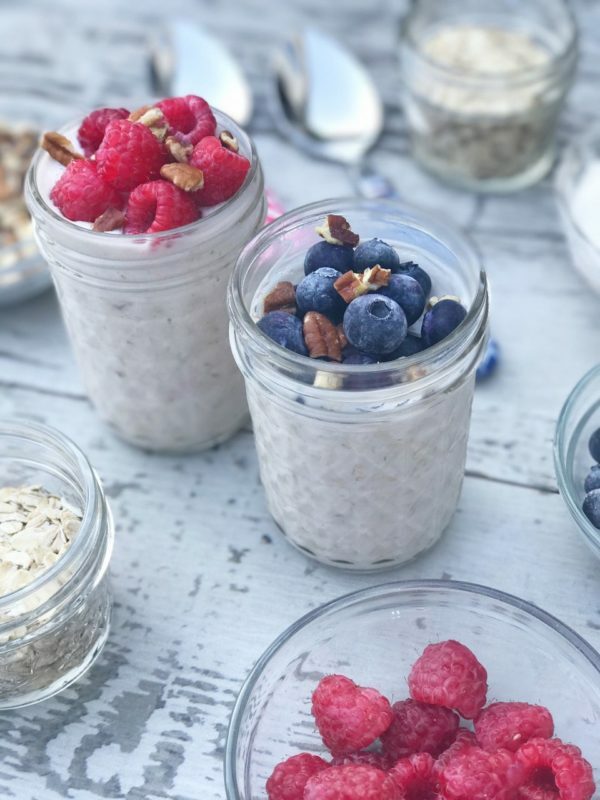 Since I like to reinvent the wheel a bit, I decided to create my own version of these overnight oats in a healthy, dairy-free version that my entire family will want to eat. 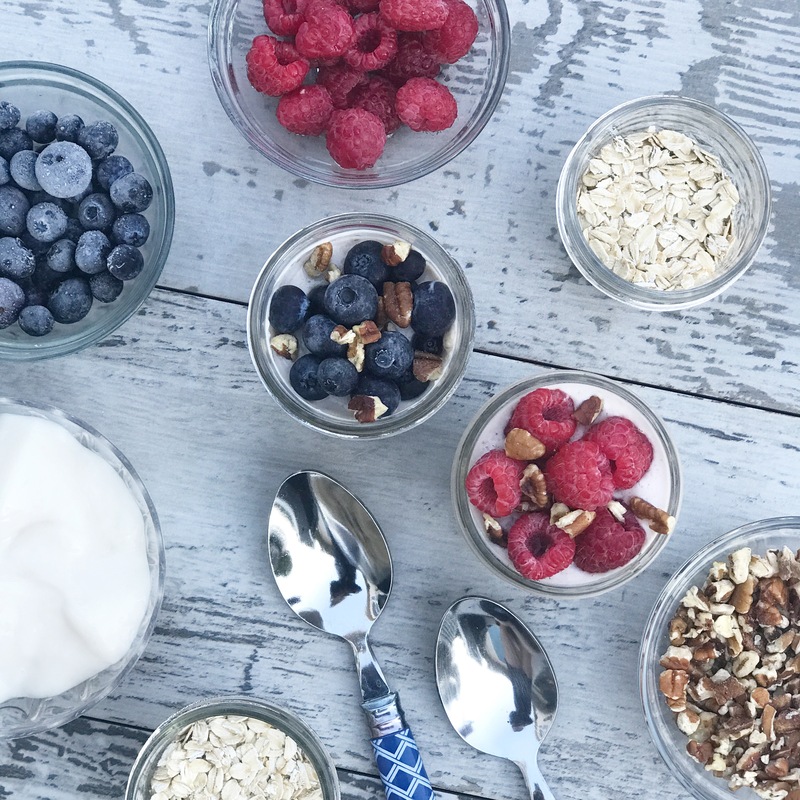 We happen to like fresh berries and nuts mixed with vanilla coconut yogurt and a variety of dairy-free milks. I’ve tried almond milk, cashew milk, Brazil nut milk, coconut milk and even Pecan “Malk” and to be honest, they were all pretty darn delicious! If you plan on making this recipe often I recommend finding the combination you love and then tweaking it a bit every time you make it to keep your breakfast in a glass fresh and exciting. Oh, and by the way, this recipe makes a perfect to-go snack you can toss in your bag and enjoy mid-day when you are feeling hungry. Just remember to bring a spoon! 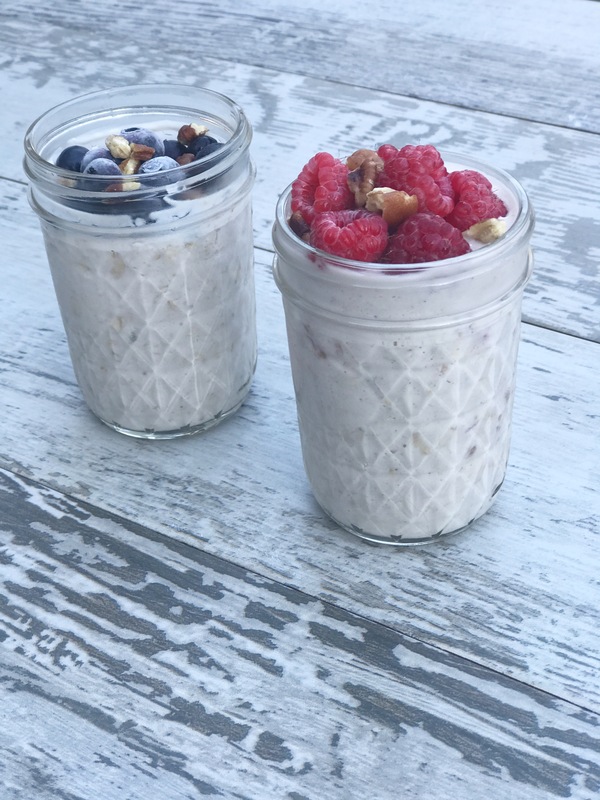 Looking for simple and tasty dairy-free overnight oats recipes?. Choose your favorite ingredients and make it the night before for the perfect grab and go healthy start to your day! 1/3 cup almond, cashew or coconutmilk Try Pecan milk by MALK! Add oats, nut milk, yogurt, chia seeds, vanilla extract, and fresh fruit to a half-pint mason jar. Cover jar with lid and screw to lightly tighten. Shake jar gently until all ingredients are mixed together.